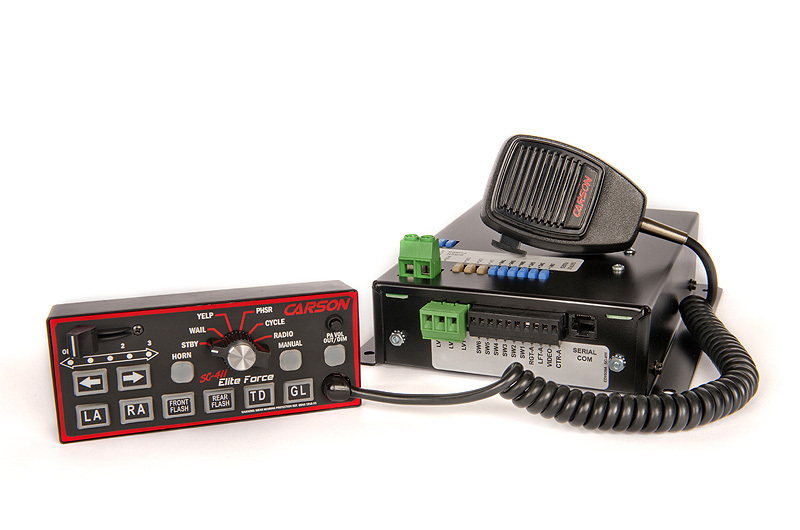 When you need to be seen and heard, Carson Manufacturing Company, Inc. offers sirens that provide versatile control of light and siren functions in a single unit. 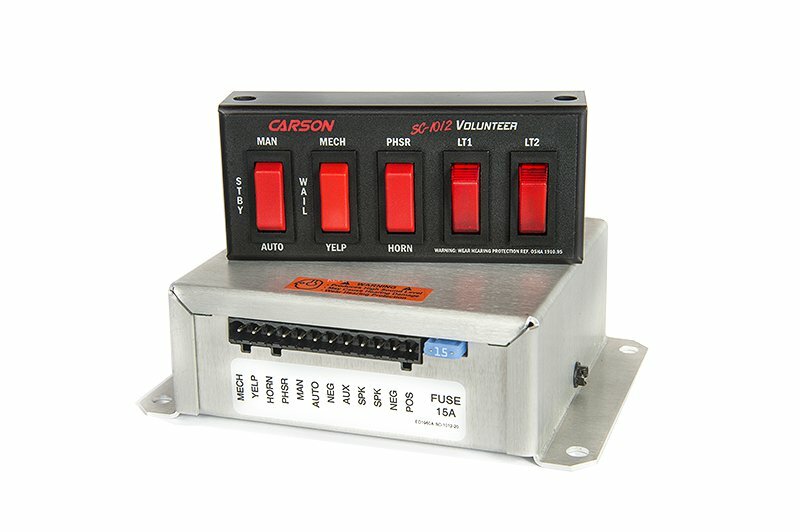 Whether you need one or multiple light switch options, Carson has a siren to meet your needs. Each of our emergency vehicle products is backed by our 5 year no hassle warranty. The SC-407 Enforcer is an affordable 100/200-watt light control siren. The Enforcer gets the job done by maximizing the use of oversized, simple to operate controls within a compact unit that provides 140 total amps of light control capacity. This faithful standard received a face lift and some internal updating for 2016 to make it as competitive as the rest of the Carson stable of rugged and reliable sirens. Introducing the SC-409 Commander: the most technologically advanced and stylish console mount light control siren. 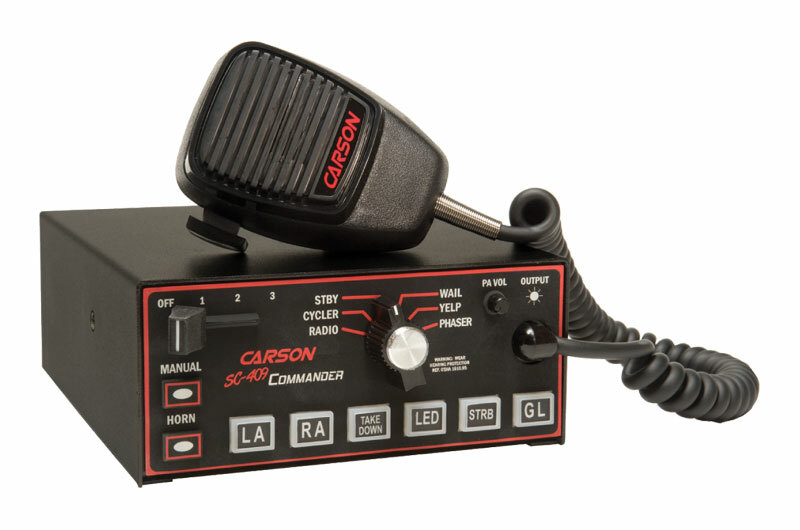 The new Commander incorporates superior versatility through face programmable and dip switch selectable options to control nearly every kind of lightbar, directional light, auxiliary light, and other auxiliary equipment including multiple gun locks and video camera systems. 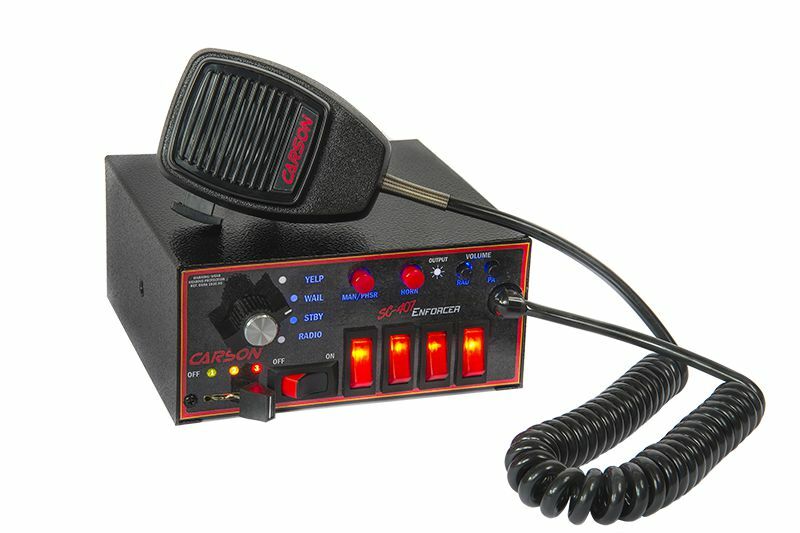 The SC-411HD-20 14 Elite Force dual tone siren is one in a series of sirens developed for smaller spaces with the same options as a full console unit. 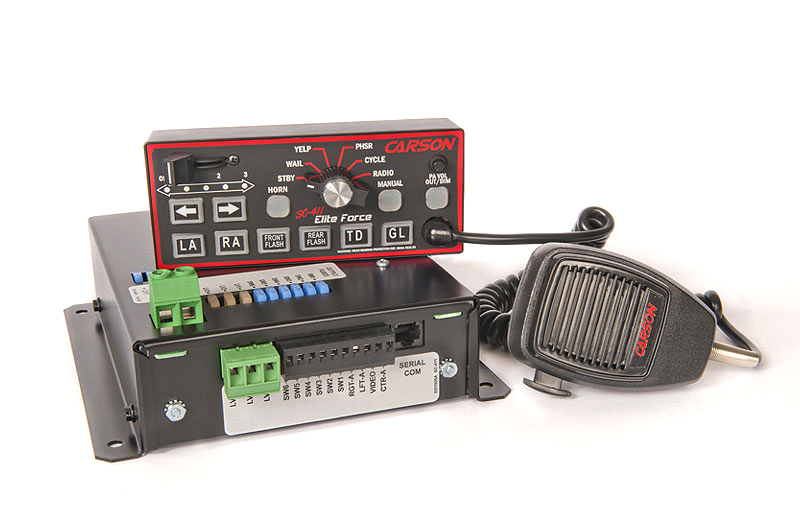 The new remote Elite Force siren series introduces the new Quick-Clone® duplication technology making it easy to transfer option settings from one unit to another without the need for an external computer, ideal for fleet installations. 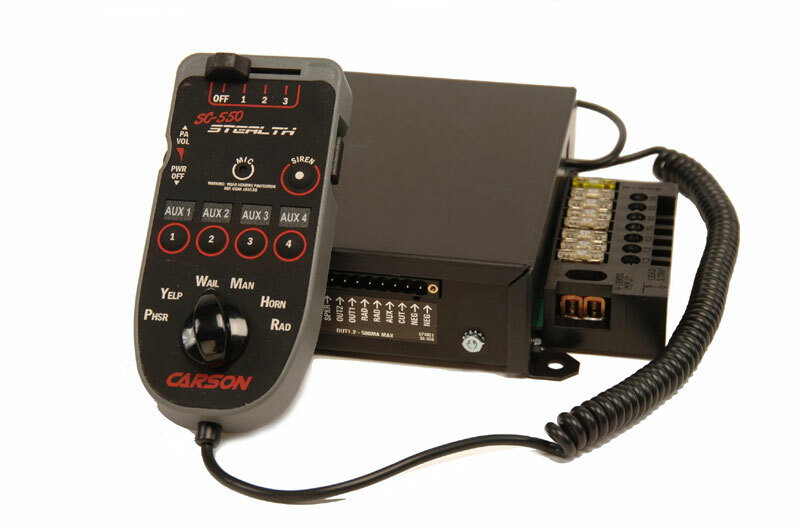 The splash resistant handheld controller offers programmable siren tones, light and arrow stick controls and our patented video trigger capability. The SC-411HS-20 14 Elite Force siren is one in a series of sirens developed for smaller spaces with the same options as a full console unit. The new remote Elite Force siren series introduces the new Quick-Clone® duplication technology making it easy to transfer option settings from one unit to another without the need for an external computer, ideal for fleet installations. The splash resistant handheld controller offers programmable siren tones, light and arrow stick controls and our patented video trigger capability. The SC-411RD-10 14 Elite Force dual tone siren is one in a series of sirens developed for smaller spaces with the same options as a full console unit. 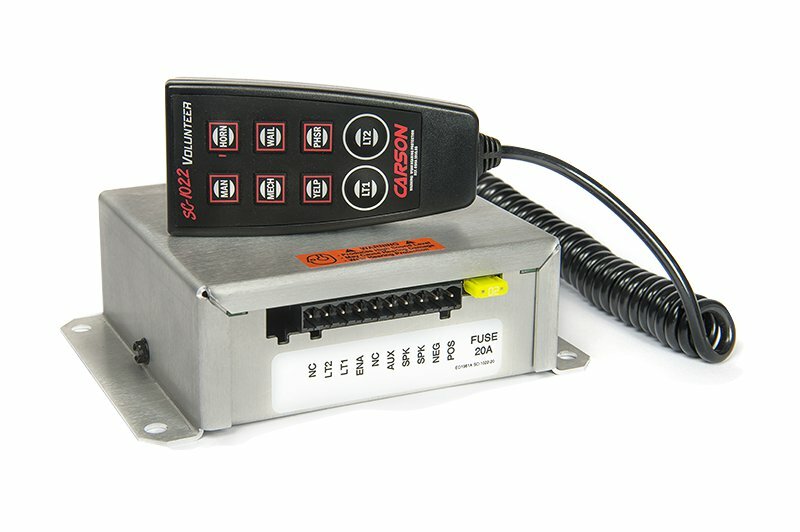 This new remote siren introduces the new QuickClone™ duplication technology making it easy to transfer option settings from one unit to another without the need for an external computer, ideal for fleet installations. The splash resistant rubberized control head face offers programmable siren tones, light and arrow stick controls and our patented video trigger capability. The SC-411RS-10 14 Elite Force single tone siren is one in a series of sirens developed for smaller spaces with the same options as a full console unit. 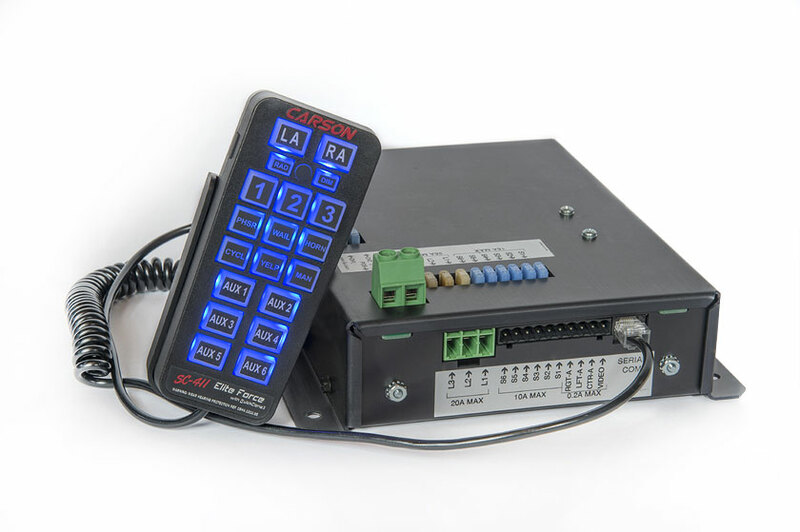 This new remote siren introduces the new QuickClone™ duplication technology making it easy to transfer option settings from one unit to another without the need for an external computer, ideal for fleet installations. The splash resistant rubberized control head face offers programmable siren tones, light and arrow stick controls and our patented video trigger capability. This unit is small in size, but large in options. The Stealth Siren hand control features a rubberized face with built in microphone for P.A. override. Its rugged, low-profile design provides additional operating stability whether you run it as a true hand-held, mounted on the dash, or next to you on the seat.